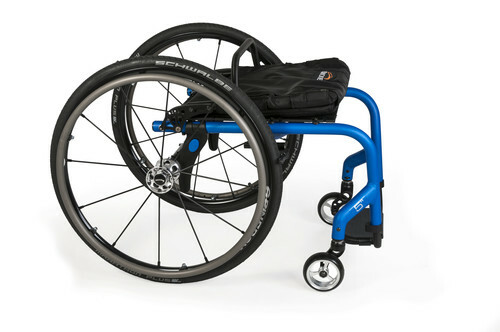 The Quickie® 5R is designed to deliver superior rigid wheelchair performance day after day. As you and your environment evolve, or as you refine your riding capabilities, the 5R’s frame and components adjust to elevate your mobility. 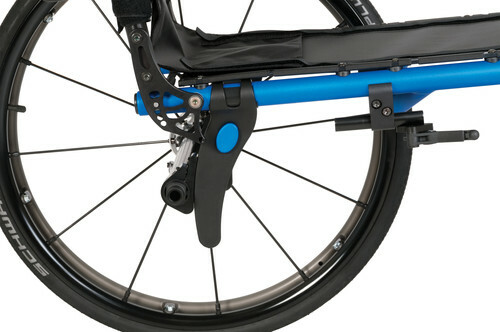 The swept-back axle plate design adds to the 5R's style and features a color window for an extra pop of color on your frame. But it isn’t just for looks - it is also incredibly quick to adjust. Available in two lengths - short (4.5" of vertical adjustment) and long (6" of vertical adjustment) - this axle plate ensures you are getting the adjustment range you need without adding unnecessary weight. There's no need to sacrifice great seating in the name of ultra lightweight mobility. 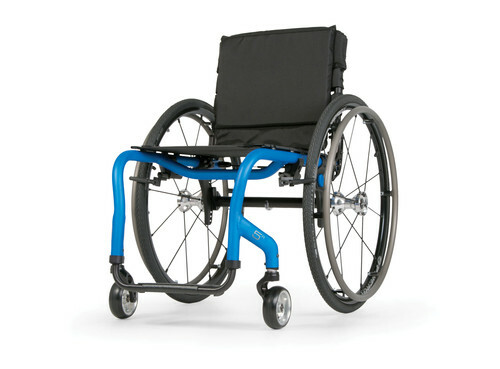 Choose from JAY's superior cushions and backs to get the most out of your mobility system. For lightweight skin protection, check out the JAY Lite or JAY X2. 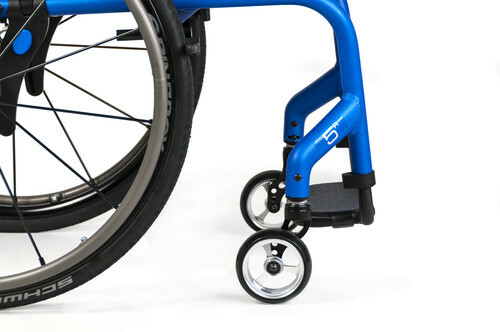 For an incredibly versatile backrest, try the JAY J3 back... and don't forget to have the back sheel painted to match or complement your chair at no extra charge. 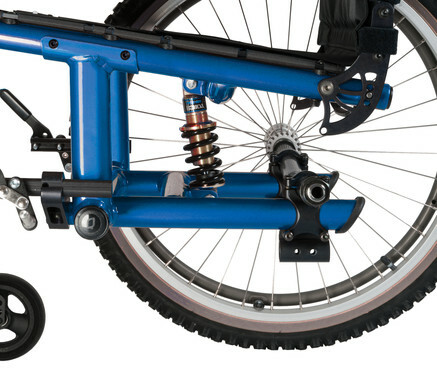 Wheelchair Weight Standard Configuration: 21.5 lbs. Transport without Wheel Locks: 11.65 lbs. 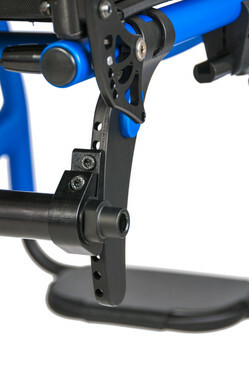 Front Seat-to-Floor Height 16" to 21"
Rear Seat-to-Floor Height 13" to 20"
Center of Gravity (COG) Adjustment -1.5" to 4"
Frame Inset 0", 1" or 2"